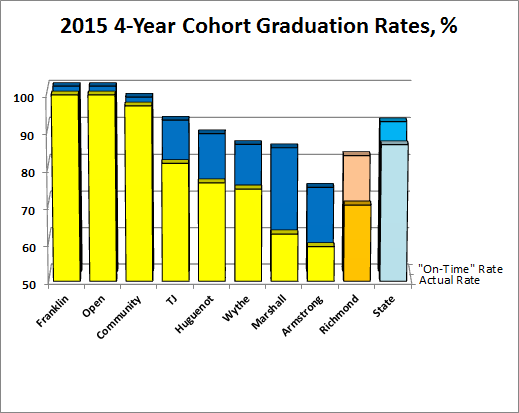 VDOE posted the 2015 4-year cohort graduation data yesterday. Their press release burbled on about the increase of the On-Time rate to over 90%. 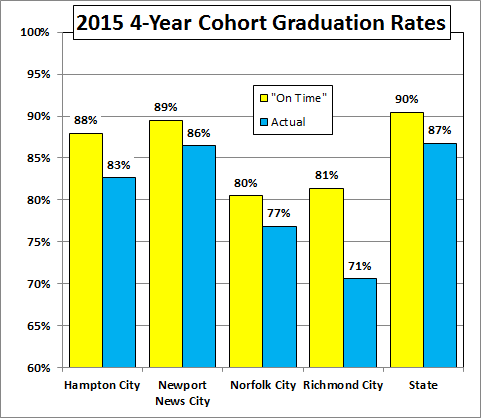 This year, the 4-year cohort On-Time rate for Virginia was 90.5%. 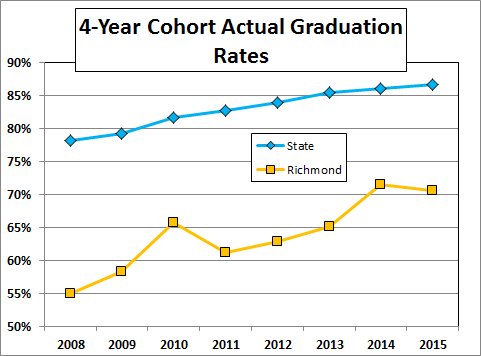 The federal graduation indicator, known here as the “actual” graduation rate, was 86.7%. Richmond’s actual rate is lowered because of the extraordinary numbers of Modified Standard and Special diplomas. 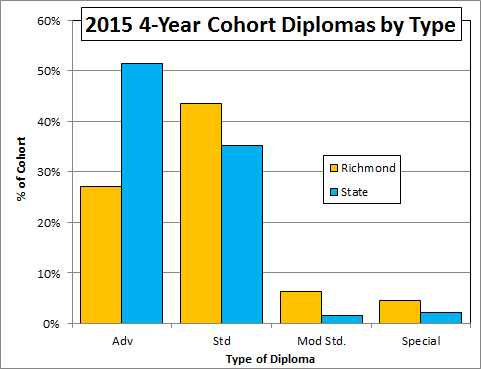 Note also the relative paucity of Advanced diplomas in Richmond. Something like half of the students who do not receive a 4-year diploma of any sort drop out. (Others hang on and drop out later or graduate in 5 or 6 years). 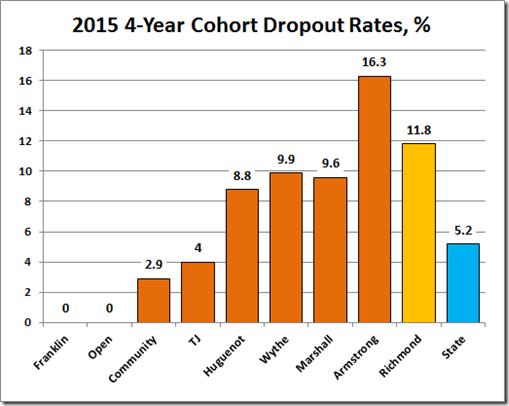 It does not take much imagination to conclude that some of the Richmond cohort’s 167 dropouts might turn into people one would prefer to not meet in a dark alley. 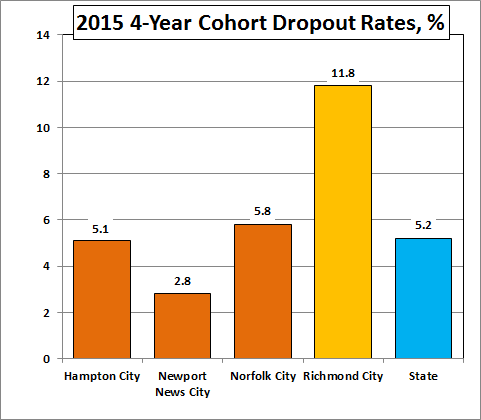 The VDOE data also allow a (limited, as we shall see) look at the graduation and dropout rates per school. 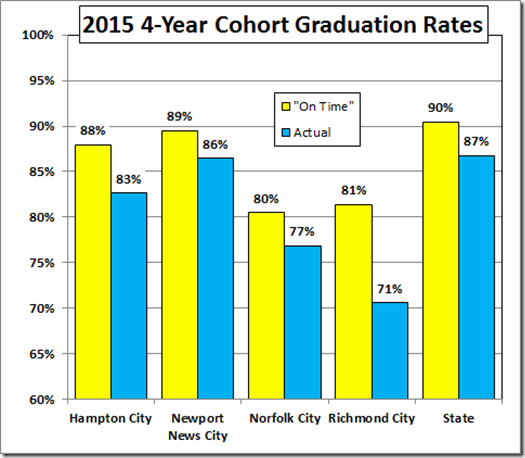 None of the mainstream high schools has an actual graduation rate as high as the state average, albeit TJ managed to beat the state On-Time rate. 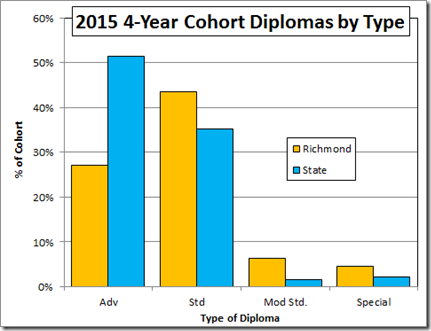 There are no data for Maggie Walker here because it is not a Richmond Public School. 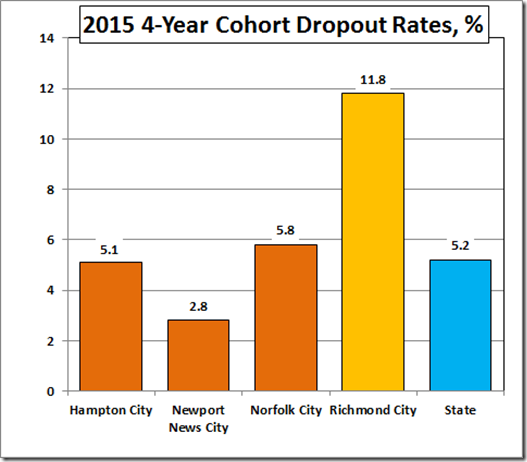 There are no data for Walker elsewhere because VDOE cooks the books, as with the SOL scores, by assigning the Walker students’ data to the public high schools in those students home districts. 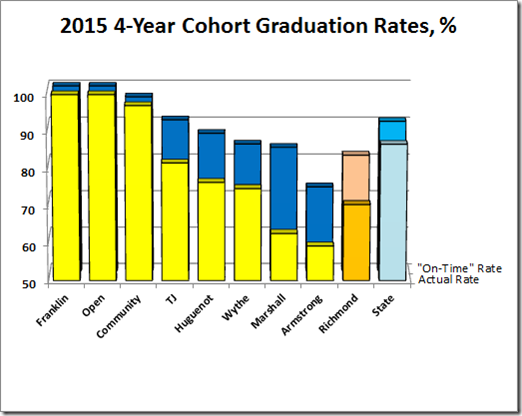 Thus, the true graduation rates of the mainstream high schools, both actual and on-time, are even lower than reported. 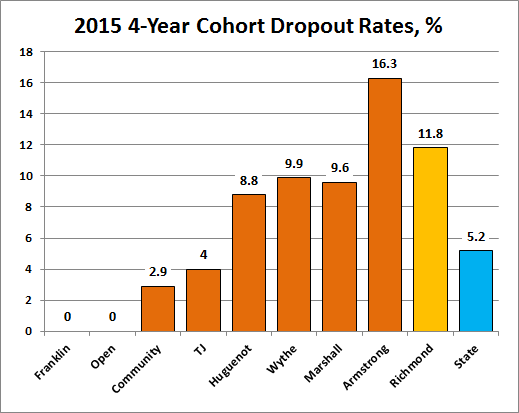 Finally, here are the cohort dropout rates by school.